Ten years ago, the band The Smashing Pumpkins had broken up. Lead singer Billy Corgan had spun off to his next project, Zwan, while still pointing fingers at former guitarist James Iha for the break-up. But even if the band had still been together, Malaysian fans like me would have laughed at the thought of seeing them play in KL – let alone as part of a huge international festival. Ten years later, The Smashing Pumpkins are back, with a new line up, and this weekend they are headlining the inaugural Good Vibes Festival in Sepang. It’s safe to say that Malaysia has reached kidulthood in the long road to becoming a country that can match music festivals throughout the world. The past few years have seen international acts like Sigur Rós, Bloc Party and The Chemical Brothers appearing in Malaysia, with huge crowds of young people happy to pay to see them. During my college years, I volunteered to help out at the now defunct Sunburst Festival. At that time, it was one of the only major outdoor festivals in Malaysia focusing on indie and alternative music (of course, Sarawak Rainforest Festival and the Penang Jazz Festival are well established for world music, jazz and folk). At the time, my main goal in life was to experience a “proper” music festival – and to see Brandon Boyd live, of course. Prodigy Warriors Dance Stage at Future Music Festival Asia 2013. 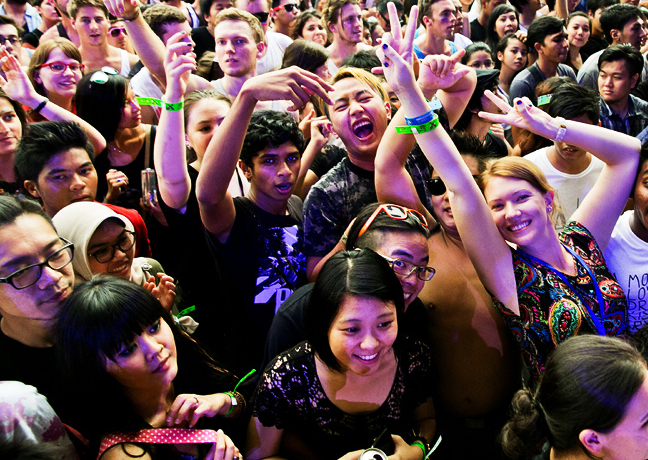 Photo: Future Music Festival Asia (www.futuremusicfestival.asia). Lynn, who also frequents concerts and festivals, thinks that Malaysians are have been so hungry for international music that we “are desperately and sadly thankful that anybody would consent to come to our shores instead of Singapore or Indonesia.” However, with more festivals and concerts on the horizon than ever before, this may change as we consumers will have more power to choose. The organisers of these events are also becoming more attuned to balancing the Malaysian market with international talent management. “Future Sound Asia have been toying around with the idea of having Good Vibes Festival for two years but proper planning and conceptualization started about one year ago,” explains Wan Alman, who heads Project and Strategy for Future Sound Asia, responsible for Good Vibes Festival and Thirst. Wan adds, “There is an emerging market with more international artists that are starting to realise the potential worth of expanding their audience in this part of the world.” Sometimes, the bids to book these bands to play exclusively in this region can get a little heated as well. A lot of negotiation skills (and money) will be applied then. Competition thrives in this region, and that is certainly a positive thing for music-lovers. When Linkin Park first played in Malaysia in 2003, the government issued a statement for the band members. They had to abide by a strict code of “artist performance ethics” where jumping, screaming or wearing of shorts on stage would not be tolerated. Since then, there have also been notorious clashes between the government (or at least influential political voices) and the entertainment industry. Beyonce’s cancellation is just one example. Big music names speak the international language of tourist receipts by the millions. In the last few years, however, big names such as Guns N’ Roses, 30 Seconds to Mars and even Backstreet Boys have been green-lit for major events. For Malaysia’s Ministry of Tourism and Culture, these acts are actually in line with their vision: they speak the international language of tourist receipts by the millions. Despite the backlash that the government receives, not many are fully aware of how closely the Ministry works with these organisers. Tony Nagamaiah works with local organisers around the country to bridge the gap between the public and the private sector. He is the general manager of Malaysia Major Events (MME), which is a division of Malaysia Convention & Exhibition Bureau (MyCEB), an agency under the Tourism Ministry. MME’s Subvention Programme offers financial support for organisers and promoters of events that have the potential to raise Malaysia’s profile as a major events destination. 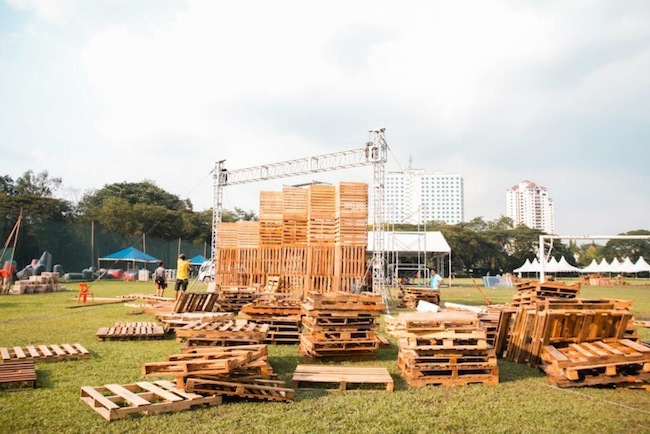 The making of Urbanscapes 2012. Photo courtesy of Urbanscapes (www.urbanscapes.com.my). The support offered is meant to help organisers stage successful events until eventually they can self-sustain. A growing list of organisers have been inducted under this programme, including Freeform, who are the organisers behind the Upfront Series as well as the creative arts festival Urbanscapes, which celebrated its tenth year in 2012. This year, Urbanscapes will feature Franz Ferdinand as one of its headliners. 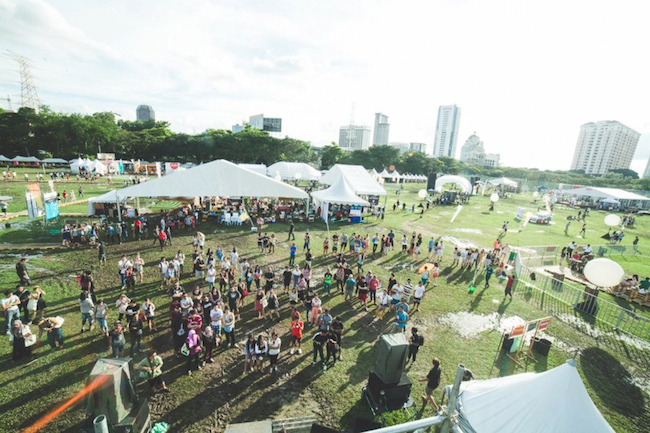 Adrian Yap, creator of Urbanscapes, explains that organisers usually have to submit paperwork to four main departments of the government to seek for permission. Puspal (the government’s Central Agency Committee for Application for Filming and Foreign Artists Presentations) for working permits, the local municipal council together with Polis DiRaja Malayia for the venue permit and the Inland Revenue Board for tax purposes. This might seem like a mountain of paperwork – but Adrian points out that festivals in Europe and Australia have to deal with even more documentation. Of course, the average festival-goer has no idea of the organisation that goes into the event. For them, more pressing concerns will be what to wear, what to see and what to eat. This is good news for businesses beyond those dealing with music. A festival is usually a great melting pot for F&B vendors in a pasar-style set up. According to May Yee, co-founder of ice cream company The Last Polka, “It’s often not about the money, more about the exposure.” Festivals have been proven to be a great platform to reach a large, immediate customer base for those who can sell food packaged to be eaten on-the-go. With down time in between music acts, there’s also plenty of time to shop. Regular festival-goer Lynn confesses that she spends quite a lot buying merchandise, especially band t-shirts. “I feel as if I might not get a chance to purchase them again.” As well as official merchandise, more and more festivals feature a variety of local vendors with mini bazaars selling everything from vintage fashion to artwork. A sweeping look around any festival field will show you that festivals are also an occasion to dress up. Festivals can function as an ideal blank canvas to be brave and try your bolder – and more questionable – fashion choices. (There is this one Pocahontas-like tunic in my wardrobe that I would be embarrassed to be seen in anywhere apart from a music festival). Fashion portal Tongue in Chic has partnered with several festivals, snapping stylish audience members and even showcasing the work of local designers. All of this contributes to a culture that reaches beyond the music – indeed, reaches beyond the festival itself. 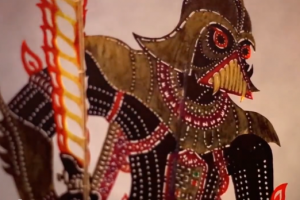 “Malaysian festival goers and young, curious and spontaneous. 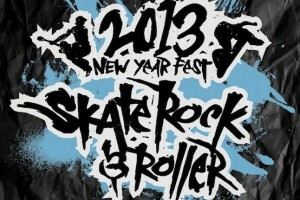 I think festivals here are so well received because it’s an alternative to hanging out at the mall over the weekend. There is a growing consciousness for art consumerism in Malaysia and I think the festival-goer is a big part of that,” says Jia-Wei. But is it really inclusive? Ticket prices alone may put off many fans, who register their complaints loud and clear on Facebook. While seeing several bands in one day is arguably better value than a single concert, prices are still targeted to fairly affluent young people. Tickets for this year’s Good Vibes Festival start at RM128 (Early Bird) and go all the way up to RM258 (VIP). 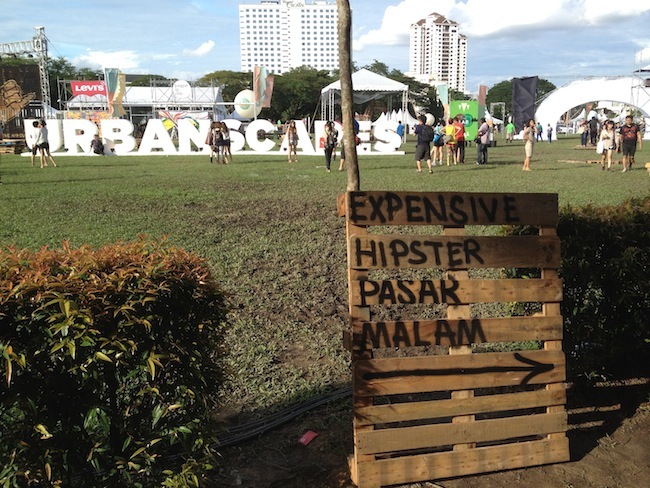 At Urbanscapes 2012, an opportunistic jokester spray-painted the words “Expensive hipster pasar malam” on a sign outside the field. A dose of tough love at Urbanscapes 2012. Photo: Poskod.my. This feature started with how Malaysia’s live music industry has changed since a decade ago. What about ten years from now, then? 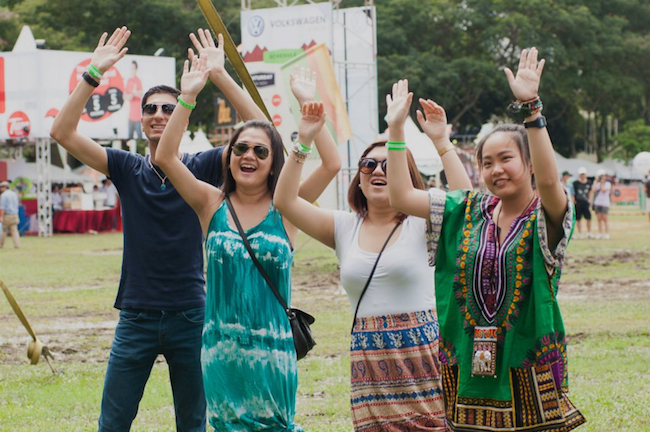 Are we expecting Malaysia’s music festival culture to grow? Speaking as someone who loves festivals, I hope that organisers keep up the great work and stick around for the long run. It is always nice to spend a weekend on home turf with a like-minded crowd that congregates for their love for music. So I raise my music festival ticket stub to you, dear organisers, as I proudly don my overpriced festival merchandise. Here, just take all my money. Photos courtesy of More Than Good Hooks, Future Music Festival Asia and Urbanscapes. Additional reporting by Ling Low. Disclosure: Jia-Wei Loo is Managing Director of the PopFolio network, which publishes Poskod.my.